I decided to use the apples in my bountiful basket to make apple cider in the slow cooker. It made my house smell heavenly! 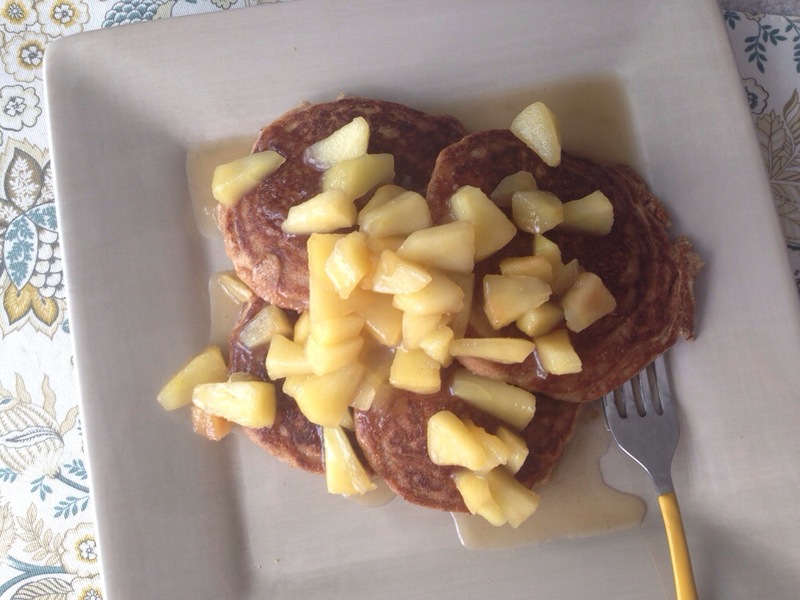 I then used the apple cider to make delicious, gluten free pancakes. 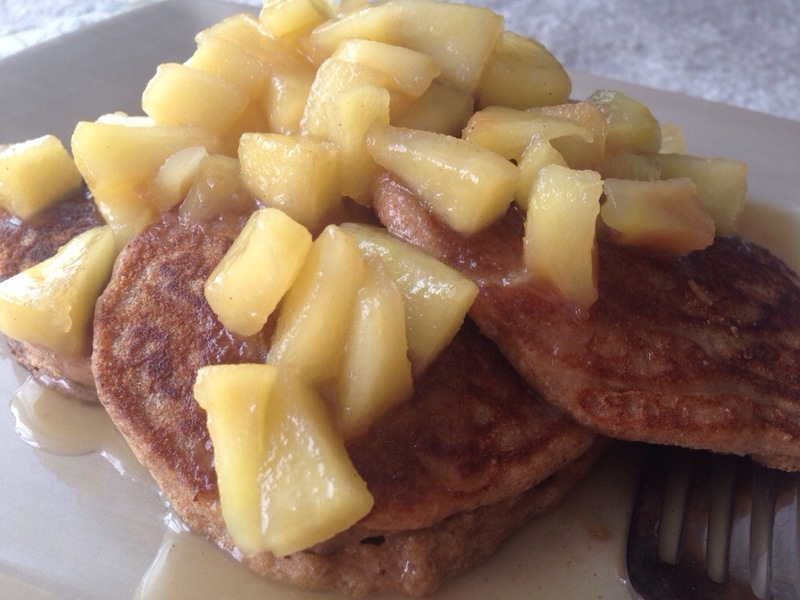 This post took me forever to write because I knew I’d be including the recipe for the apple cider AND the pancakes. That seemed like a lot of work to me, but I’m excited to share the result with you! 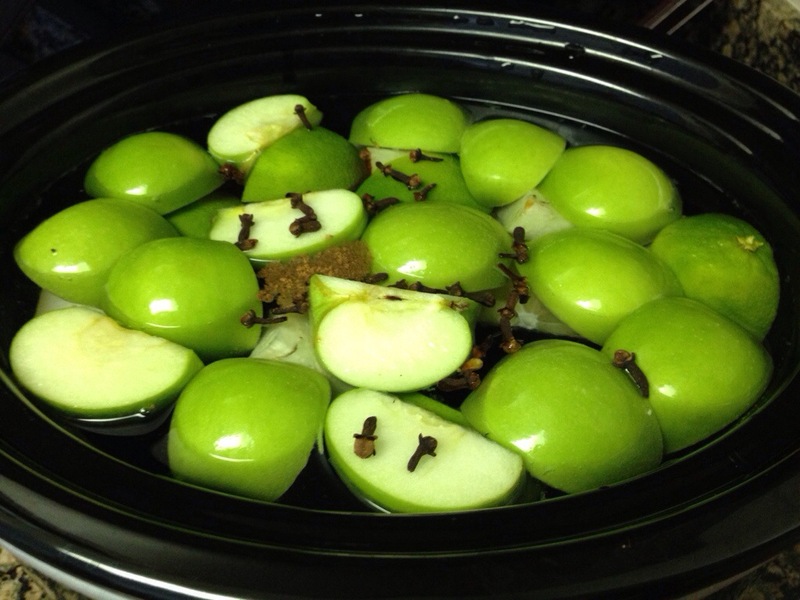 To make the cider, simply chop up about 8 apples and place them in a slow cooker. Fill with water and add a cinnamon stick, a whole nutmeg, and tablespoon of whole cloves. Keep the slow cooker on high for 3 hours, or until the apples are very soft and your kitchen smells amazing. Strain and sweeten the cider with stevia, honey, or maple syrup. 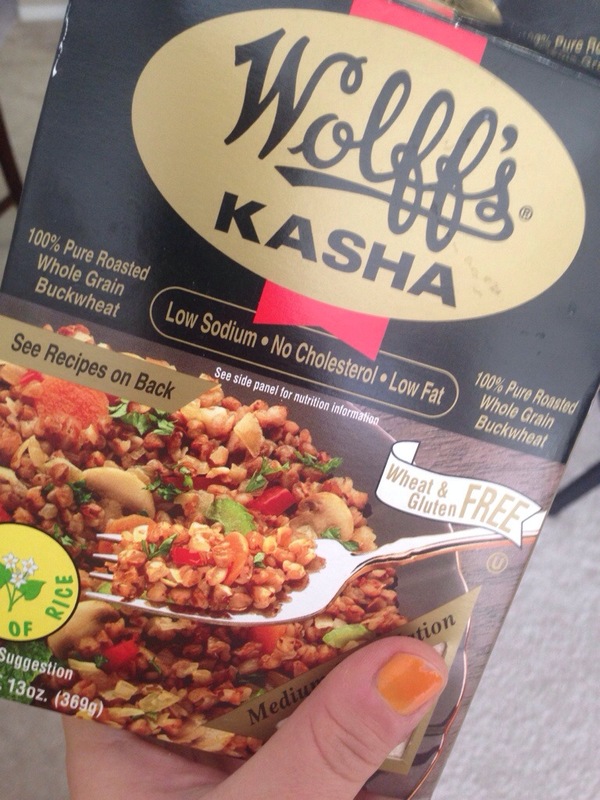 Buckwheat is rich in protein and fiber. It’s gluten free, too! 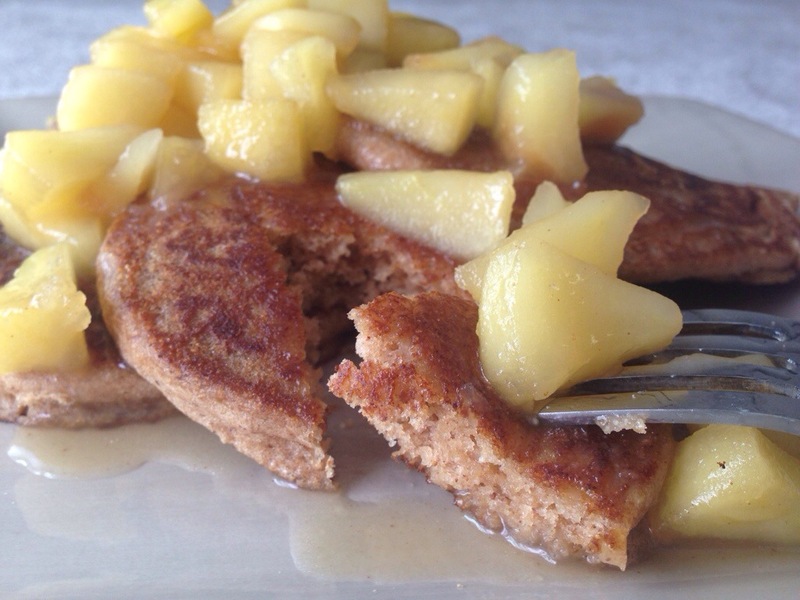 Buckwheat flour imparts a hearty, nutty taste to these pancakes. 1. 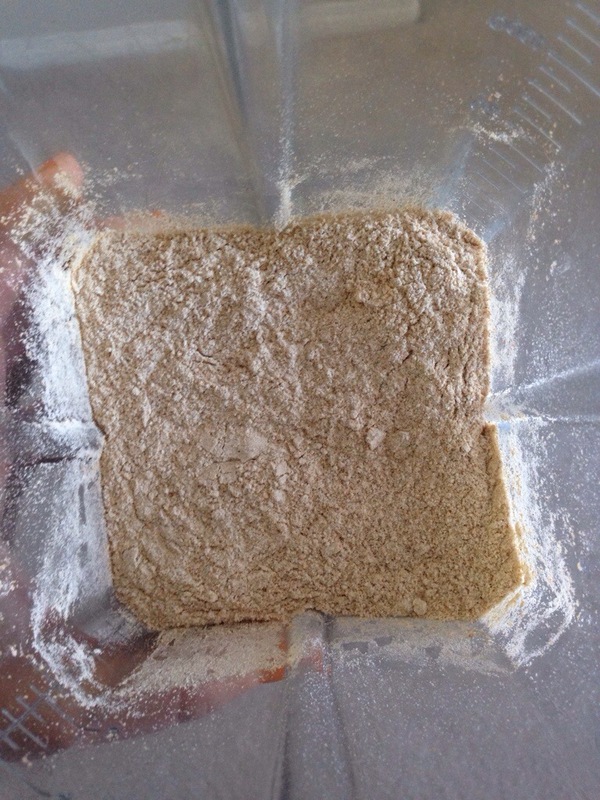 Combine all dry ingredients in a large mixing bowl. Whisk in the wet ingredients for the batter and combine until there are no lumps. 2. Spray a pan or griddle with cooking spray and heat over medium heat. Cook 1/4 cup of batter at a time. Flip with a spatula when bubbles start to form and cook until golden brown on both sides. 3. To make the syrup, combine butter, apples, cinnamon, sugar, and salt in a small saucepan over medium heat. After 5 minutes, add the apple cider and maple syrup. Bring to a boil. Reduce the heat to medium and simmer for 5 minutes until thickened. Serve the pancakes topped with syrup!